Payrolling Defined and Why It’s Critical - Acara Solutions, Inc.
Are you in a position that challenges you to find creative ways to save your company money and cut overhead expenses? A professional, low-cost payrolling solution can save six to seven figures a year! So, when we say payrolling, what exactly are we talking about? 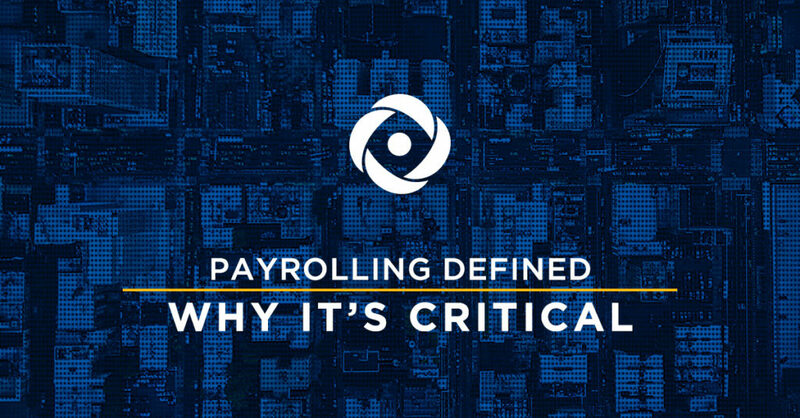 As it relates to contingent staffing, payrolling is the provision of longer-term tempo­rary workers where the resources have been identified by the client themselves (possibly through internal referrals or an internal recruiting department), but are referred to and become the employees of the supplier providing the payroll services. Cost savings – Working with a staffing industry partner whose WC, SUI, and other variable statutory costs are lower than your company’s in-house figures. And benefit and pay rate evaluations offer enhanced savings opportunities. Reduced administrative overhead and headcount – A payrolled worker is the employee of the supplier and thus the company need not monitor the payment of taxes, unemployment, workers comp, etc., as these are handled by the employer of record. There are also fewer direct employees on the books. Project-based work – If you know that someone is only going to be working for a defined period of time, why go through the hassle of onboarding them? Trial runs – Many companies like having probationary periods for new hires before making them full time employees and going through their internal onboarding process. Time savings – Hiring and onboarding is a time sink. Whether it’s the HR Generalist, Manager or Administrator leading the onboarding process, that time could be used to focus on other core business functions, including recruiting strategy and securing other key talent. Consolidate – To secure the lowest possible price, it’s best to consolidate your payrolled headcount to one vendor. Also, with only one vendor, you will only receive one invoice and Accounts Payable will love you for that! Ease – One of the primary reasons to payroll is to save you time. Ensure your payrolling partner has an easy process. Focus on candidate experience – The onboarding experience is important for any new hire joining your company. Your payrolling partner should share your focus on candidate experience and have a process that combines both quick onboarding and high touch. Compliance & Financial Stability – You will want to ensure that any vendor you choose is compliant with all state and federal regulations (e-Verify, liability insurance, etc.) and has the financial stability to pay its workforce on time, every time. Benefits – The benefits your payrolling partner provides will matter to your payrollees, so ask vendors to share the details of their offered benefit packages. They should include a medical benefit option, direct deposit, weekly pay, online timekeeping, 401k, etc. Looking at contingent labor spend and putting a new program in place can seem like a large undertaking. We don’t all have time for yet another project! But when we consider the financial savings, the consistency of compliance measures, and the improved onboarding experience, it’s well worth the time spent. Want added value and to save yourself a touch more time?—engage a payrolling partner that will do much of the heavy lifting on your behalf. While we all clamor to draft internal communications, develop process flows, and hold meetings with key stakeholders to facilitate change management, a solid partner just may be able to help!